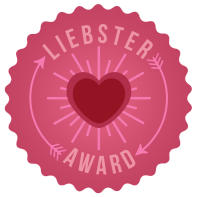 Liebster Award – Let’s get to know each other! Heather from Nearly There has nominated me! I would really like to get to know better both people I’m nominating and the rest of my readers. Sop feel free to discuss and comment on anything that I have written in this post. I love reading, and I miss the years when I could cuddle up with a book – for a couple of days in a row. I’d love to go back to school one day, and get a Master’s degree (not sure in what yet – looooog time before I will actually be able to think about that realistically). I also would like to travel more, especially go and see all my friends, living now in different corners of the world. And I’d love to go to Japan. At least for a couple of months. Crafts literally save my sanity in hard times. I’d love to teach knitting and crochet – I did teach a few people, and it was great. Ideally, I’d have a studio where I (together with other people) would teach a number of fiber arts, to adults and children. When I’m mad at someone, I like to clean. I also know how to tat and do macrame. I am a Red Bull junkie. I love being a working mom, and I revere women who have the patience to devote themselves fully to their family. Is there a craft you’ve tried but would never do again? I tried beading, but didn’t really enjoy it. What is your ultimate favorite material or medium to work in? I’m in love with wool+silk blends. They are so soft and warm and durable. My fingers love holding them while knitting and my skin loves wearing the finished garments. Are you creatively procrastinating anything? I am a great procrastinator, although I am not sure if I’m creative at it. This is something I have been working on recently, trying to start doing things as they come up. Both in crafts and in other areas of life. Mindless knitting or mindful knitting and when/why? (if you don’t knit, replace your creative activity of choice!) I tend to prefer mindless knitting, or simple patterns that I can remember, and knit / crochet away without having to look into the pattern every 5 seconds. I mostly knit either while watching TV, or outside of the house. Also, when I knit to calm down, it works best when I get into a meditative rhythm. Working on complex patterns to take my mind off other things doesn’t usually work for me – I just make more mistakes in knitting and get even more upset. I’m hungry, what’s your favorite quick kitchen pantry/cupboard dinner? I love pelmeni – a Russian version of tortellini/Chinese dumplings. It’s ground beef and pork mixture wrapped in water/flour dough. These are sold frozen (or sometimes I make my own from scratch). What’s one blog post you’ve written that you think represents your blog? (link too please!) I mostly do two sorts of posts. The first one is about me knitting up some existing pattern. For example, Uber kawaii bunnies. The second one is about my own pattern. For example, Kikiriki. I have read on other awarding posts, that the nomenees should have less than 200 followers. Although some blogs show you how many followers there are, most don’t. So I just go with the gut, and hope not to offend anyone by nominating them. How important is your blog to you in the big picture of life? What are the things that help you relax most? How much do you agree to the saying “If you are good at doing something, you shouldn’t do it for free”, especially related to your favorite craft/hobby/passion ? What are 2-3 things you are most proud of, in regards to your favorite craft/hobby/passion? If you have posts/pictures, please add those. Do you ever get presents from friends or relatives related to your favorite craft/hobby/passion? Do you like sports? Which kinds? Do your ever dream (in sleep) about your hobby? Do you have a favorite dish? What is it? What things do you prefer visually? (Any given colour? Bright multi-colour patterns? Simple patterns? Busy patterns? Any particular style – e.g. steam punk, oriental, baroque?) Be as general or as specific as you like. What are your goals for the next few years, related to your favorite craft/hobby/passion? Do you have any? Are you a process or end-result oriented?